You’ve road tripped to meet with real Americans in a quest to visit all 50 states. You’ve hired Barack Obama’s pollster along with his first campaign manager to advise your philanthropic fund. You’ve given a flat “no” to the question whether you are planning a run for president, but it’s hard to believe you’re not thinking about it. And if you are, you have a lot of work to do. You’re not the only billionaire looking at Donald Trump and thinking: I’m smarter, I’m richer, I’m more likeable, I’m not colluding with Russia. If he can do it, so can I. But it would be dangerous to assume that America is interested in electing just any ol’ CEO to be commander-in-chief. Putting aside the fluky nature of his victory sans popular vote, Trump didn’t suddenly emerge from the boardroom. He was in our living rooms for decades, had a well-developed ultra-confident public persona and had long been testing the political waters. 1. Don’t assume anybody likes you. You begin this quest providing one of the most popular services in the world, used by two billion people. But don’t think that means YOU are popular. As a recent poll of a hypothetical 2020 matchup showed you perform worse against Trump—tying him 40-40—compared to established Democratic politicians. Nearly half of Americans don’t have an opinion about you. Of those that do, for slightly more it’s a negative one. That may suggest a need to shed your image of the socially awkward boss trying to look cool in a t-shirt. Or it may reflect the conflicted feelings many people have about Facebook and its effect on privacy, safety and political polarization. Even among those 24 percent of Americans with a favorable opinion of you are not clamoring for presidential run. There is only one #DraftZuck group, Disrupt for America. It has 15 Facebook likes. There’s no passion behind a Zuckerberg candidacy. At least not yet. 2. Show you can do more than write checks: Traditional politicians prove their commitment to the public good by passing legislation or administering government programs. As a CEO candidate, you can’t do that. But you need to do something on behalf of the public that exemplifies your values, your leadership ability and your competency. But wait, you say, Trump never did anything like that. Well, maybe not in the traditional sense. However, his “birther” crusade checked that box. Championing a baseless conspiracy theory, while a racist outrage to many, humiliated Obama, provoked the “liberal” media and proved Trump could troll better than anyone. And in retrospect, that’s the skill conservative voters wanted most. The last big CEO candidate before Trump, independent billionaire Ross Perot, also built a bond with a voter niche well in advance of his 1992 bid. How? By pursuing for decades his own conspiracy theory—that America left behind prisoners of war in Vietnam. He even charged the government with a cover-up during congressional testimony delivered in August of the presidential campaign (after he dropped out in July but before he rejoined in the September). But lest you start to believe only conspiracy-minded CEOs can mount presidential campaigns, Perot also earned political credibility by leading a gubernatorial task force to revamp the Texas education system, and pressuring the state government, successfully, to enact major reform legislation. So there’s a highbrow path available. These are laudable and important goals. But without any concrete successes before 2020, they will only paint a picture of a rich guy who likes to throw money at problems. You know about that pitfall all too well—having seen your $100 million donation to the Newark, New Jersey, public school system result in the book The Prize, which chronicles how that money got squandered. And the fact that your wife Dr. Priscilla Chan is doing most of the heavy lifting for the foundation also can feed a perception that you only know how to write checks. One promising project you have is the Primary School—a free preschool that opened in East Palo Alto last year for low-income families that incorporates health care into its curriculum. (Dr. Chan, a pediatrician, is the school CEO.) However, while you are planning an expansion into San Francisco, you still aren’t letting reporters visit classrooms. Such opacity won’t fly in a presidential campaign. You not only need good works, your works need to be transparently good. 3. Own an issue. 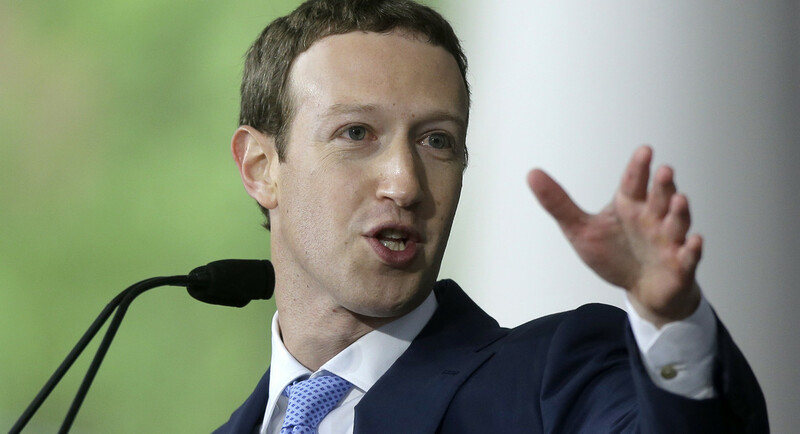 Mashable’s Jack Morse said, when considering your political prospects, “if his blandly apolitical 50-state tour has taught us anything, it’s that the man is fundamentally incapable of taking any kind of meaningful stand.” That’s fine for being CEO of Facebook, a business that depends on a massive user base and cannot afford to alienate customers on ideological grounds. But running for president in an age of polarization requires taking clear stands and mobilizing devout supporters. Trump grabbed onto the immigration issue and never let go. You started FWD.us, in a failed attempt to pass immigration reform under Obama, and seemingly gave up. The group still exists, but you remain behind the scenes. Now immigration is back on the front page, as Trump is proposing a 50 percent cut in the number of legal immigrants America will accept, with an emphasis on skilled, English-speaking workers. FWD.us is opposing the legislation. But your personal Facebook page is silent, when you could be playing a much bigger public role. Since a priority of imported skilled workers is good for Silicon Valley corporations, you would have extra credibility in going against your self-interest, and arguing that a strict emphasis on high-skill labor is economically myopic and antithetical to the American spirit. You’ve said your life’s mission is to “connect the world,” a mantra with great potential as a sharp contrast to the wall-loving Trump. But if immigration is not the specific issue that most motivates you, then figure out what issue related to breaking down global barriers you are passionate about, and act on it. 4. Take down an opponent. Politics is bloodsport. It won’t come easily for you, as you are more accustomed to geeky Facebook live chats. But political neophytes need to show voters they can throw a punch. Trump did so with a strategy of sophomoric putdowns, and that’s not your thing. But there is another model from the corporate world for you to emulate: 1940 Republican nominee Wendell Willkie. As president of the utility company Commonwealth & Southern, Willkie engaged in high-profile battles with President Franklin D. Roosevelt over regulation. And he made a huge splash when he jousted with Roosevelt’s top antitrust official, Robert H. Jackson, in a 1938 radio debate heard by three million listeners. Of course, there are risks in on-air clashes. Perot permanently ruined his political prospects in 1993 when he debated NAFTA with Vice-President Al Gore on CNN. He had wanted shift his signature issue from the budget deficit to the trade deficit, but the drubbing Perot took marginalized him and made his second presidential bid a mere historical footnote. As a champion of global connectivity, you have plenty of nationalist targets from which to choose. What Democrat wouldn’t love seeing you take down Rep. Steve King on the subject of immigration? Or challenge a fellow CEO—like the cantankerous, and litigious, coal mogul Bob Murray—on climate change. You’ve indicated you oppose barriers to global trade; a daring move would be a debate with that former CEO presidential candidate, Ross Perot. So pick your issue. Debate a worthy opponent. Prep like hell. And do it with a smile. But if you’re not prepared to “take any kind of meaningful stand” and fight for it, you can always stick to writing checks.